Fourteen people were hospitalized with minor injuries when a CTA Green Line train car derailed on the elevated tracks on the South Side. Four Chicago Transit Authority employees have been fired following last month's derailment of a Green Line train on the city's South Side. The train's front and rear operators, as well as a supervisor overseeing the shuttle operation and a control tower employee were initially suspended without pay during an investigation into the accident. The employees' union doesn't believe the firings are justified. "The Local 308 does not believe that the four employees who were involved are the sole responsibility for what happened," said Robert Kelly, Local 308 president, according ABC 7 Chicago. 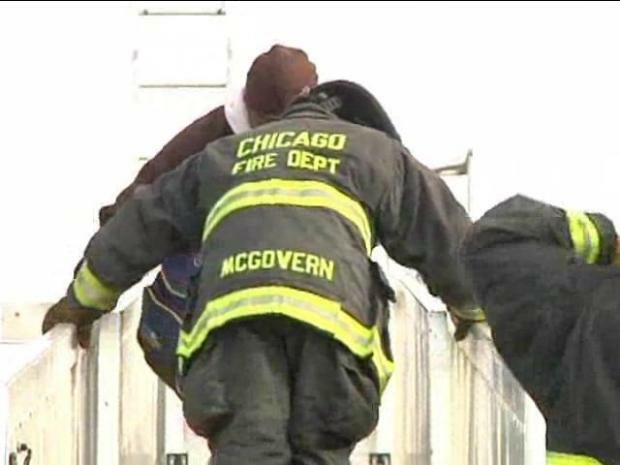 14 people were hurt when a CTA Green Line train went off the tracks on the Chicago's southeast side. Fourteen people were hospitalized with minor injuries when the Green Line train car derailed on the elevated tracks at the 59th Street junction, where the Ashland Branch meets the east 63rd Branch. The derailment happened at the same spot as a May 2008 derailment. The National Transportation Safety Board has yet to conclude its investigation in that case, the preliminary finding was operator error.